A bestselling novel of intrigue, shadowy politics, and shocking surprises that deftly navigates between the chaotic hope and confusion of post-Cold War Moscow and turn-of-the-Millennium Washington. This is the first book in the Tony Dantry series. The action is fast paced, and there’s enough hi-tech gadgetry to satisfy the most demanding fans of techno-thrillers. 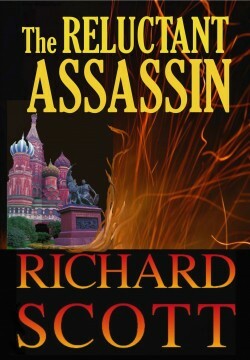 Each chapter of The Reluctant Assassin pulls the reader deeper into the story as the author builds tension the way a carpenter builds a house—step by well-crafted step. But this brilliantly turned thriller—reminiscent of Ken Follett’s Eye of the Needle—is more than mindless action. The characters are developed, and the reader cares about them.